The deal with the social media web and mobile application company brings pre-leasing at the mixed-use campus to nearly 60%. Rendering of 88 Bluxome St., San Francisco. 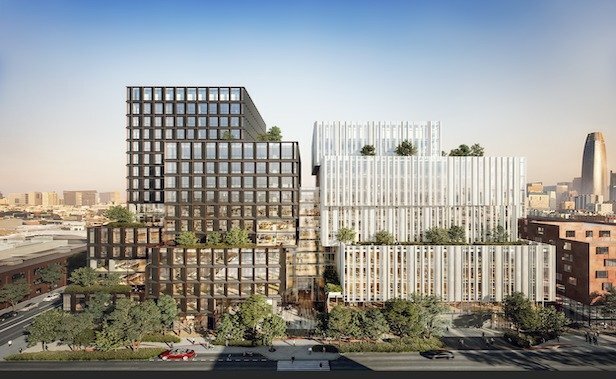 Courtesy of Alexandria Real Estate Equities, Inc.
SAN FRANCISCO—Pinterest has signed a lease for nearly 490,000 square-feet at 88 Bluxome St., a planned 1-million-square-foot mixed-use project to be developed by Pasadena, CA-based Alexandria Real Estate Equities, Inc.